Establishment of transitional justice mechanisms is an essential step towards bringing lasting peace in post-conflict societies. In Nepal, formation of the Truth and Reconciliation Commission (TRC) and the Commission of Investigation on Enforced Disappeared Persons (CIEDP), in principle, laid the foundations for the transitional justice process. The need for such commissions arose primarily because during the decade-long armed conflict many individuals were reportedly arbitrarily arrested, killed, sexually abused or made to disappear. These two commissions are thus mandated with providing justice to these victims of Maoist conflict, in one way or the other. That said, there is great confusion over whether these commissions will truly live up to their expectation. Even after two years of their formation, they have not been able to initiate scrutiny of human rights violations from the conflict period, let alone bring perpetrators to justice. It appears the commissions were formed just because our parties wanted to be politically correct. So with just a month left till the end of the two commission’s two-year term limits, the commissions have only managed to register formal complaints. So far conflict victims have registered over 57,000 complaints in the TRC while the CIEDP has received 2,800 complaints. Obstacles for the dispensation of transitional justice are many. One may argue that the transitional justice process has been complicated with the ‘peace versus justice’ debate. Which should come first? In addition, unclear mandates, time and resource constraints and political calculations have all hindered transitional justice. The blanket amnesty provision in the legislation for the two commissions, for instance, ignores the gravity of the crimes committed in the war era. Moreover, the Comprehensive Peace Agreement’s clause, wherein the signatory parties agreed to mutually ‘withdraw accusations, claims, complaints and cases under consideration’ directed against each other has further complicated things. Such provisions go against the very concept of justice and could jeopardize the whole peace process. Another reason our transitional justice system is muddled is its heavy politicization. The TRC and the CIEDP have struggled to work as independent bodies as their commissioners were selected on partisan basis. Such bodies are supposed to adopt a victim-centered approach during their fact-finding mission, but our transitional justice bodies stand accused of working for vested interests. For all these reasons, the commissions have lost trust of the victims, who no longer believe the two bodies can address their concerns. Thus the victims have been reluctant to file complaints with the commissions, as there should have been many more complaints than the number that have been filed with them so far. Yet the victims are also fearful that if they don’t file complaints they could be excluded from the reparation process and lose perhaps the only available means to bring the perpetrators to book. Due to the lack of security for their wellbeing and the fear of retribution, many victims have chosen not to disclose their personal details. The victims have also formed their own groups to address their issues, they fear, would otherwise not be addressed. All these factors have led to the NGO-isation of transitional justice, where the beneficiaries are not the victims but those running such organizations. This happened because in the course of formulation of transitional justice mechanisms, victims and other members of the society had little input. There is also a difference between what the NGOs advocate and what the victims aspire for. 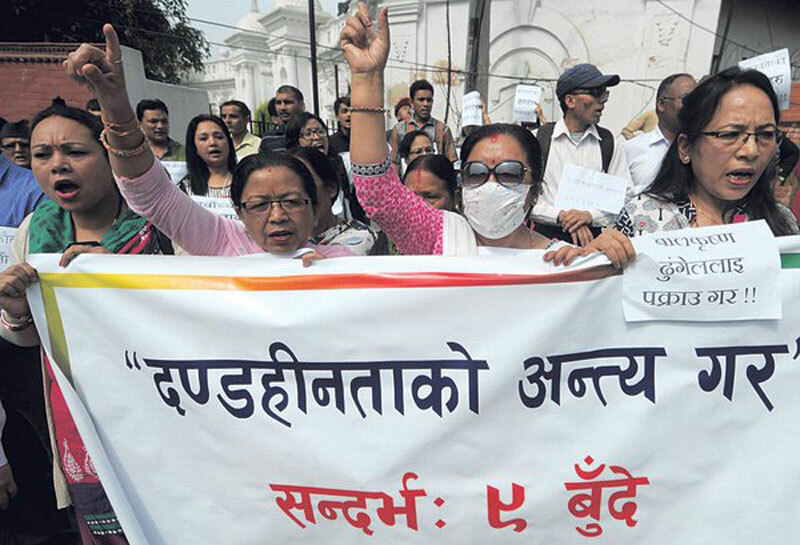 Victims tend to prioritize ‘needs’ over ‘rights’ whereas the NGOs and human rights community in Nepal give more emphasis to rights (or the issues which keep their business humming). The right to know the truth is inalienable and non-negotiable and should not be limited in any way. This is even more vital when it comes to victims of grave rights violations from conflict period. Truth seeking requires an active participation of the individuals who wish to express their grievances and report on the abuses that were inflicted on them or on their loved ones. 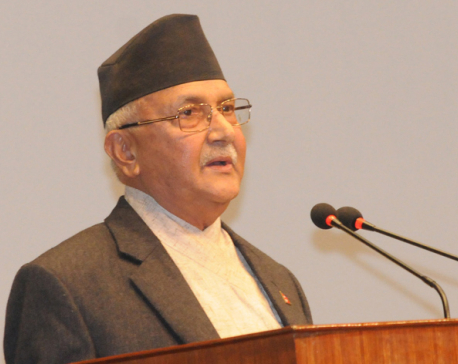 The conflict victims of Nepal have been deprived of truth, and thereby justice, for years. There are many reasons for this. Today, political parties who once fought for social betterment have lost public faith. There is little sympathy for them from common people, let alone conflict victims. The political parties that contributed in bringing the Maoists to political mainstream are also now battling it out to prolong their stay in power. The international community, for its part, has played a significant role but it too has failed to make a strong case for transitional justice. Each is, in fact, out to protect its own interest. All these factors have badly affected transitional justice. Transitional Justice is an important step to establish sustainable peace in the country. So what could we do to ensure justice for the victims and lasting peace? One, there must be more engagement with civil society leaders in order to facilitate the transitional justice process. Strong political will, supported by civil society members and international community, can help get the ball rolling. In addition, amendments are needed in TRC and CIEDP laws to remove confusion over issues such as witness protection, dealing with serious crimes and disappearances and adoption of a credible victim-centric approach. Equally important is implementing Supreme Court orders, adoption of the National Human Rights Commission recommendations and adherence to international justice norms and values. It is also important that there be clear demarcation between the remits of the two commissions for their smooth functioning. For this they should also be provided with required workforce and budget. Above all, successful transitional justice is contingent on a holistic approach, where the organs of the state work seamlessly with the transitional justice mechanisms. Transitional justice is not only about truth seeking, witness protection or amnesty. It is also about encouraging the participation of various sections of the society, strengthening of the legal system and ensuring impartiality and accountability. Overall, it’s a mechanism to address the conflict and pave the way for sustainable peace.